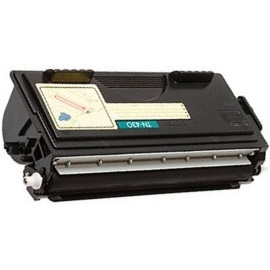 Compatible Brother Toner Cartridge, Black, High Capacity 6,000 page yield. Replaces Brother part number: TN460, TN430. Laser Toner Cartridge compatible with Brother 4100E, 4750E, 5750E, 8350P, 8500, 8750, DCP-1200, DCP-1400, HL-1030, HL-1230, HL-1240, HL-1250, HL-1270, HL-1430, HL-1435, HL-1440, HL-1450, HL-1470, HL-P2500, MFC-1260, MFC-1270, MFC-2500, MFC-8300, MFC-8500, MFC-8600, MFC-8700, MFC-9600, MFC-9650, MFC-9660, MFC-9700, MFC-9750, MFC-9760, MFC-9800, MFC-9850, MFC-9860CDW, MFC-9870, MFC-9880, MFC-P2500.